If you’re looking for quality contemporary furniture, you’ve come to the right place. Our team has been designing and selling contemporary furniture in London for over 30 years and we absolutely love what we do. Our beautiful 20, 000 square foot London contemporary furniture showroom showcases pieces from over 700 of the world’s most exciting designers and brands, all under one roof. We are London's largest contemporary showroom for furniture and interiors and we're open 7 days a week. We hope to see you here soon. "We love what we do". If you spend some time surfing through our website, you'll see that statement appear many, many times. We love design, we love the creative process, we love the wonderful people we get to work with across Europe and the rest of the world and we love working with our clients. We forge great relationships with our clients and the large majority of them recommend us on, which is mainly how our contemporary furniture business has grown over the last 30 years. Whether you're simply looking for an interesting modern designer dining table or you're embarking on a complete refurbishment project, it's important to know who you are dealing with. Contemporary Sofas - It’s actually great to work in a place where you can spend half your day sitting around on cool sofas. If you’re thinking of popping in to see our huge display of modern sofas, please take 8 or 9 photos of the entire room you’re going to put the sofa in. If we can see where it’s going, we can better advise you on colours & styles. Also you must bring accurate dimensions of the room with you. We have a huge range of contemporary leather and fabric sofas on display and the showroom is open 7 days a week. Interior Design - Our team consists of interior designers and architects and we are very proud to be members of BIID and SBID. We work with residential and commercial projects and offer a host of services from simple space planning to complete 3D visualisation, including helping clients select wallpaper, paint, art, home automation and home cinema, lighting design, curtains & blinds, floor treatments and soft furnishings. We love the whole process of transformation and are very happy to speak to clients on the phone or in the showroom. The first consultation is free of charge but we do request that you call and book it in. Contemporary Beds - We spend a third of our lives in bed so selecting a contemporary bed and quality mattress is crucial. Our website showcases hundreds of different beds and we offer a great bed customisation service that allows you to select a headboard style and then select from a range of storage and non storage bases, all in leather or fabric. You can even custom design your headboard with one of our design team and have it custom built at a very reasonable price. 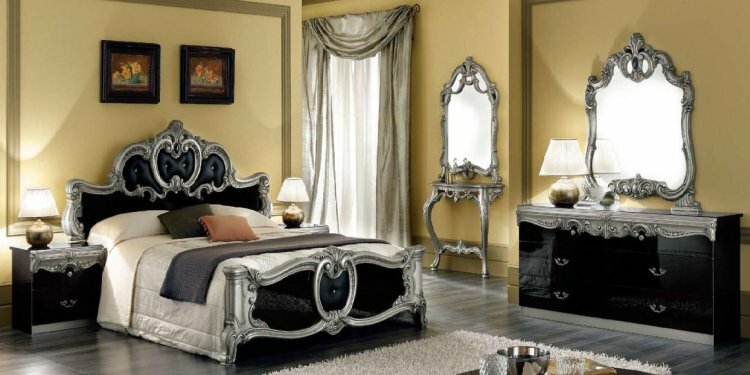 We also showcase beds from some great brands including Naustro Italia beds, Bonaldo beds and Logo beds. Modern Dining Tables - Too many of us in the UK don’t use our dining tables as often as we should. We often come across clients who tell us they rarely use their dining tables, often settling for eating in front of the TV or on the go. Eating meals as a family at the dining table has been proved to be a better and healthier option. And where better than fci to select the perfect dining table? We only work with quality dining table brands including Calligaris, Cattelan Italia, Bonaldo, Nou, Bacher Tische and Porada, to name a few. Contemporary Kitchens - What a lot of people don’t realise is that part of the secret to a happy life is eating well. And eating well is easier if you prepare home cooked food as opposed to eating out. So it follows that if you enjoy cooking, you are more likely to eat good, home prepared food. Designing a kitchen that fits what and how you cook is essential to a modern healthy, lifestyle. Our head of kitchen design is an experienced architect who has been designing and installing quality kitchens for nearly 20 years. She has an extremely practical approach to kitchen space planning and is available in the showroom to have a chat about your project by appointment. Please call the showroom to book in your free consultation. Contemporary Lighting - From chandeliers and pendants to floor lights and table lamps, we have it all. We find that lighting is never given enough thought at the beginning of a project. Most people tend to focus on the larger items of furniture exclusively and then drift into the realisation that they need some decorative lighting at the end of the project. We always advise clients to plan their lighting at the start of the project as this can really influence the ambience of the room and should drive other selections like furniture finishes & colours and wall treatments. We work with some of the most influential lighting brands in the world, including Flos, Foscarini, Contardi, Il Fari, Gubi, Verpan, Bocci and Vistosi to name just a few.